You're on my blogroll at http://www.ForYourNailsOnly.blogspot.com but I know that doesn't realllly count... oh well. I follow here as Ria via GFC and on twitter as @riakod. Hi! I'm following through gfc - shazzii. And I follow you on twitter as PolishaholicPL. Hi! Please enter me! I'm following you on GFC as Cheryl, and on twitter as ch3ryl89. My email is cherylcherylcheryl at gmail dot com. Thanks for the giveaway! Hi, great giveaway, who cares what it's named. hi i'm your public follower via GFC as Jennifer. :) thanks for your giveaway! I follow via GFC (fennelbat) and twitter (also fennelbat). I follow via GFC as Smoochiefrog. Wow, that's a gorgeous color! I already follow you via GFC as Marianne. I also follow you on twitter as palevelvet. OMG! That's my favourite of the collection! I gotta have it!! Oooh gorgeous colour! Please enter me! I follow through GFC with the nickname amusedPolish. I'm dreaming about this polish! Thanks a lot and good luck everybody! I am a follower via GFC as kumbeji. I follow via GFC as Zara Petkovic. So excited with the giveaway. I would like to participate in it. I must say, too, that I follow u on Twitter with this name: LauraSanMur. 2. Already following you on Twitter as @monikaretnani. 3. Link about this giveaway on my blog here. Hi, I follow your blog via Google Friend Connect as shala_darkstone. I also follow you on Twitter (@shala_darkstone). Thanks for the great giveaway! I dont think I entered this one yet! Carli, booteddybelle@hotmail.com or ya know where to find me.....! thanx for this giveaway ! End of October, beginning of November sounds like a great name for a giveaway! ;) What a gorgeous color! I follow via GFC - blanche.bATgmailDOTcom, I added your giveaway to my sidebar: http://polishdrop.blogspot.com. I am a new follower via GFC, Jackie S.
hnk you for your amazing iveawys! sorry or all the typos, i spilled acetone on my keyboard while doing my nils;P it melted it. Hope I win! Thanks for the giveaway! I am also now following on twitter, under the same name (Bcteagirl). 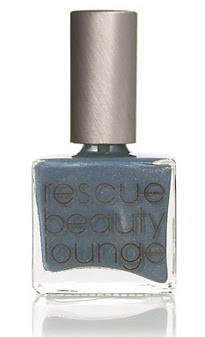 oh wow, i've always wanted to try nail polish from RBL ! I'm following you via GFC as framboesa. Following on GFC. Email is jenny@jenniferarmintrout.com. Oh MORE giveaways from you, youre awesome! I am a follower of this blog (sandragrose) and on Twitter (slgkag)Goor luck everyone and thanks for the great giveaway! Hi! I'm a new follower, I follower through Google Friend Connect by Hebridean_sprite my e-mail is dolphins_dream_too@hotmail.com thanks so much! 1. I'm a follower through GFC, as Chaosbutterfly. I follow via GFC as indramcryan and Angelica1405 on twitter. such a gorgeous color! definitely on my to-get list!! also follow on Twitter as Ershyn there too! I follow through GFC as Sheera. i'm following via GFC as .evil.she.devil. I'm following you as TheRedRibbon. I also follow you on twitter as The_Red_Ribbon. I'm a follower via GFC (whateveramber) and my email address is m2hnj25 at gmail dot com. I'm also following via Twitter as whateveramber. I'm following on gfc as Cris! Thank you for a cool giveaway! Nice polish don't have any from this brand. I follow your blog through GFC under the name Danni.